In this video you can find out my thoughts on Zombie Tsunami by Lucky Duck Games. In this video you can find out my thoughts on Arctic Scavengers Base Game + HQ + Recon by Rio Grande Games. Watch to learn this exciting game! Professor Phineas Edmund Hornswoggle, known for building the highest quality airships, has announced his retirement. As one of the greatest airship engineers in the kingdom, you have gathered at the Hornswoggle factory in a competition to build the best airships you can and become the successor to the Hornswoggle empire. 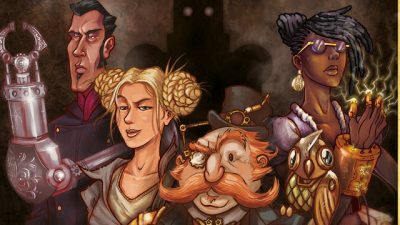 In Dastardly Dirigibles, you will build your airship from different parts of 9 beautiful suits. Each airship is made of 7 cards, each representing a different part of the airship, such as the nose cone or lift engine. Whenever you add a part to your airship, ALL players MUST add the SAME part, even if it means replacing an existing part. Ivion combines the intensity of a fighting game with the strategy of deck-building card games to create an experience unlike any other. In Ivion, your deck IS your character. Build your deck from a variety of Classes and Specializations, ranging from the brutal Giant to the occult Ebon Mage. Each character type has numerous cards to choose from, and wildly different play-styles. Mix and match them to create your own, unique character to fight with! Upon the field of battle, crush your opponent with various strikes, stabs, slashes, spells and other mayhem at your disposal. Be careful, though–they have numerous ways to block, dodge, parry, fizzle and disrupt your assault. Only one can be the victor, and the battle will be bloody. The Red Dragon Inn: Battle for Greyport also contains two items for use with any of the standalone The Red Dragon Inn titles: Chronos the Time Mage character deck and Drog’s Special Reserve drink card. Check out the unique dice drafting and dice management mechanism. 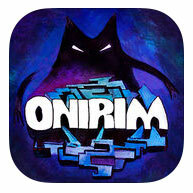 In Onirim, players are “Dreamwalkers” in a labyrinth. In order to escape, they must discover “oneiric” doors. There are 4 colors of doors and 2 of each color. As players play consecutive cards of the appropriate color and symbol, they unlock the doors. If a player manages to unlock all 8 doors, they win the game. For a full reading of the rules to understand how complex the card manipulation can get, check out the rules on Z-Man Games’ website. 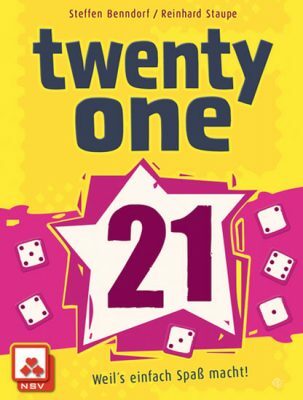 In Twenty One, players will roll six different colored dice and, depending on the result, write scores onto their sheet. Each sheet contains 6 rows and each player can only write a number the top-most incomplete row. 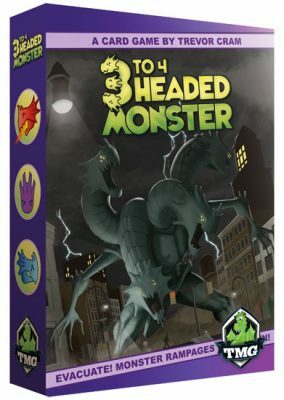 Players represent different heads of a monster rampaging through a city who must decide to be peaceful or dangerous. 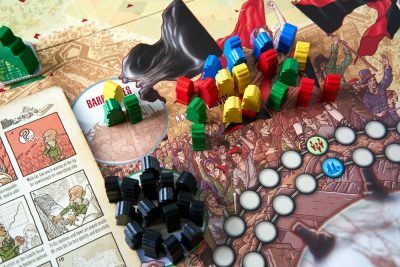 Through the course of the game, either the peaceful role player will win subtly or the dangerous players will win by deducing which player is peaceful. 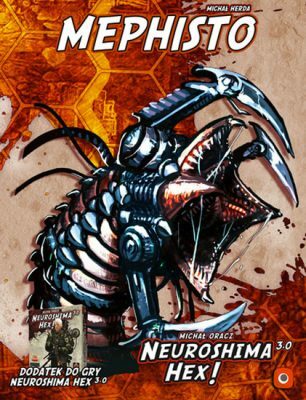 As players choose who will control the legs of the monster, they’re also determining the outcome of the game in a way similar to how The Resistance is played. 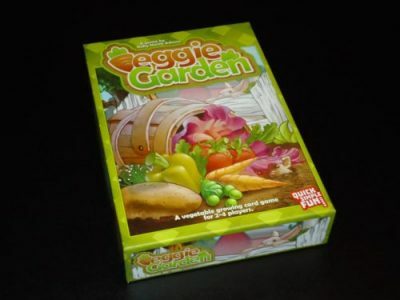 Veggie Garden is a game about growing, well, a vegetable garden. Duh. The idea here, though, is that this is a community garden and while you’re trying to make it flourish for everyone, you want to have the richest personal harvest. As the decision maker in an influential family, it is your goal to grow your wealth by constructing buildings while balancing the social unrest of the new immigrant population. The game is divided into five phases in which players take turns playing action cards and constructing buildings. There are three scoring periods in the game in which players will gain victory based on the type of buildings they’ve constructed. Whoever can collect the most points by game’s end is the victor. 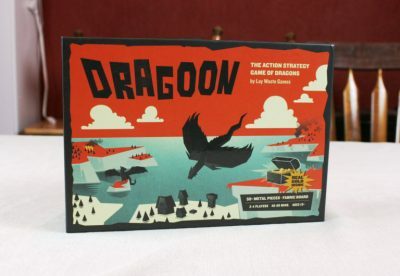 In Dragoon, you take on the role of a dragon forced to deal with the arrival of humans. You’ll need to burn their cities to the ground, or at least subjugate them and take their gold. The first dragony player to reach 50 gold wins the game. This was video was a paid sponsorship courtesy of Indie Boards & Cards and Drive Thru Review. 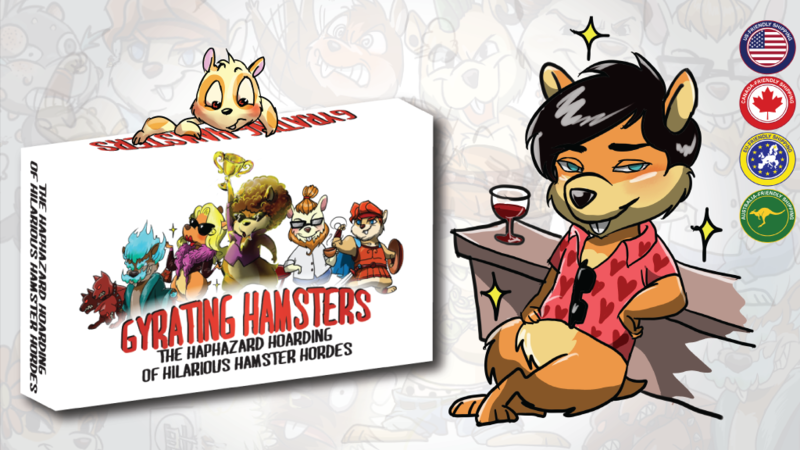 Here we have a fantastic card game for 2-4 players, it’s quick and easy to learn, 20 minutes play time and the most fun you’ll have with hamsters legally! Gyrating Hamsters is bought to you by a team composed of Alex & Rebekah Host and Andrew & Allison Gerbsch, all hailing from Tenessee U.S.A.